SPECIAL DEAL - Usually 15.99, today just 9.99 - Save £6! 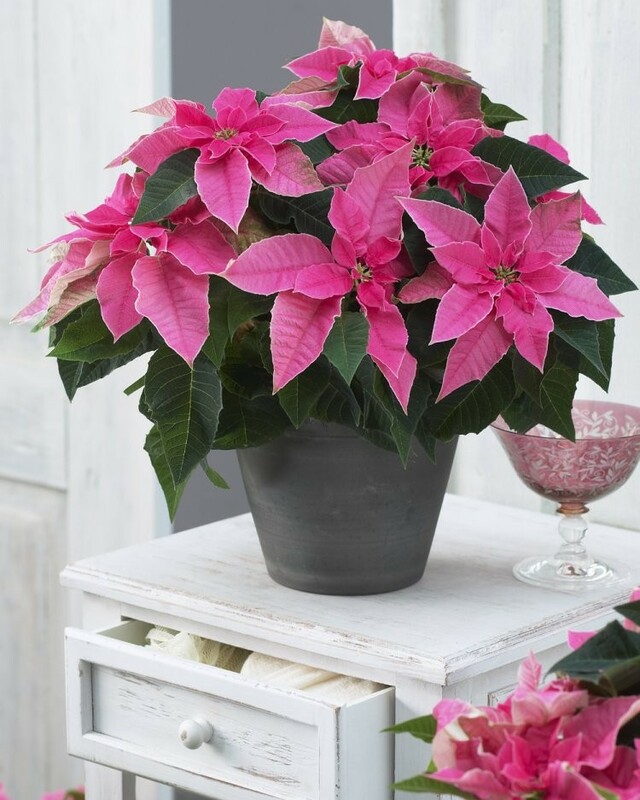 A lovely Hot Pink Pink Princettia - a new form of the traditional Red Poinsettia plant. This would be a perfect gift, or look lovely adorning your home. Poinsettias are of course the essential Christmas Plant, and they have become as much a part of the traditional Christmas as the turkey and the tree! These 'Princettia' however are a new modern breed that differ from the usual red coloured plants and come in a beautiful pretty hot pink shade. The brightly coloured bracts are often mistakenly thought to be flowers, which are in fact the small insignificant yellow buds in the centre. Keep the compost just moist and place in a brightly lit room to ensure the brightest bract colour. Overall size including pot is approx. 30-35cms high and wide.